1. 4 Wheels for standing case, easy move. 2. 5 IN 1 combination function, best slimming treatment. 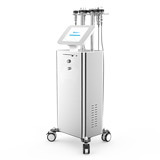 Strong unoisetion Cavitation sound wave explosion fat head With collective strong sound wave head, strong sound wave of 40000HZ may be emitted to human body for impacting fat cells fiercely and causing friction motion between fat cells. This may cause effective consumption of calories and moisture in fat cells and reduce the size of fat cells. 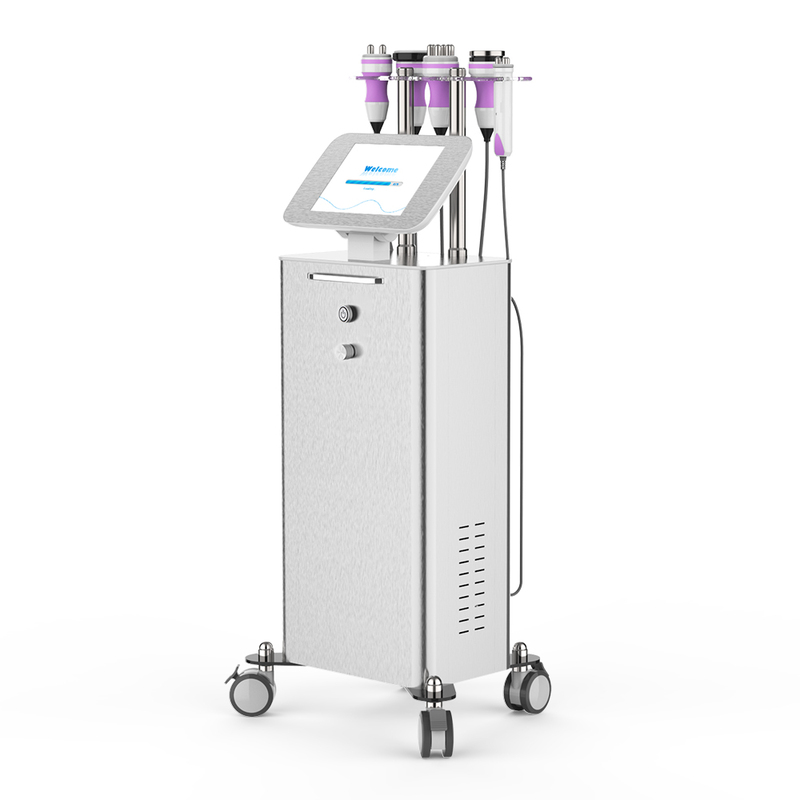 What's more, sound wave vibration may cause fierce impact of fat cells to make them be exploded instantaneously, reduce the amount of fat cells and thereby achieve the effects of removing fat. 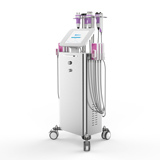 This 5 in 1 cavitation machine, use big case with 4 wheels, which good for spa use, apply professional treatment for user.